Many people in Sussex are affected by a number of changes which the Government has been making. You may be aware of campaigns by national churches to challenge some elements of these. East Sussex County Council has prepared this very helpful video to explain some of these changes. Do please ensure people in your community including our churches are aware of these. 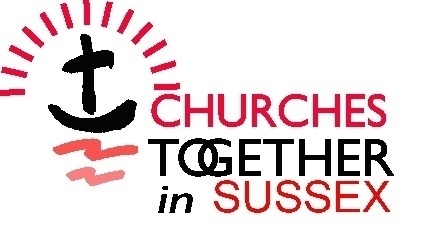 If you use Facebook, please visit the Churches Together in Sussex page and like it. This will enable you to communicate with others who are interested in unity in Sussex. You've made it to the website, we hope you will find what you are looking for. Before you leave could you please take part in our questionnaire so we can benefit from your perspective. Successful schemes operate in the coastal towns and resorts of Hastings, Eastbourne, Seaford, Brighton & Hove, Worthing, Littlehampton and now Chichester. Inland schemes operate in Crawley and Heathfield. Conversations are also taking place in other locations. Do let us know if you are aware of any plans not mentioned here. Heathfield was the first scheme in Sussex and one of the first in the UK in a rural town. All schemes operate in partnership with the Police, Local Authorities and other services. If you would like to become a Street Pastor or find out how to start a scheme in your area do get in touch with one of the local groups. Across Sussex over 100,000 men, women and children attend 1000 churches every Sunday, and many work within their local communities to enrich the lives of others.